Instagram is not only one of the most popular social platforms but also the fastest-growing. The network reached a one billion user milestone in 2018 after years of steady growth and it doesn’t look like stopping anytime soon. There are over 25 million business accounts on Instagram, while 200 million users visit at least one business profile every day. 60% of Instagram users discover new products on this platform. Instagram images get an average of 23% more engagement than the same content published on Facebook. In such circumstances, you should be thinking about how to make this network work for your own business. We are here to help you with that, so keep reading to learn five tips to start promoting your store on Instagram. Choose the right name and photo: Allow fans to find you easily by creating a business-related Instagram name and adding a branded profile picture. If possible, it would be best to give your account the official brand name (like Reebok or Adidas). Create a bio: A bio section is where you want to describe the purpose of your business, its goals, and vision. Let the followers know what you do really do without too promotional statements. Instead, try to build a unique style and explain what makes you better than other businesses in the same niche. Add a link in the bio: Instagram is not exactly URL-friendly, which means that the link in the bio is the only place where you can actually give people the chance to visit your website or landing page. You can change it from time to time in case you are launching a new campaign. The secret of Instagram’s popularity lies in the fact that it’s an image-sharing network. Namely, humans are visual beings who process photos and videos much faster than plain textual content (60 thousand times faster, according to some reports). This means that the road to success is made of high-quality Instagram images. You can use the platform to publish product photos, but the goal is not to make it too pushy or sale. It’s all about the context and putting your products in the perfect surrounding that resonates with the needs and expectations of the target audience. For instance, Nike does a great job promoting women’s sportswear as part of their Tokyo 2020 campaign. They build a story around the Tokyo Olympics and put the products in the perfect context, which is exactly what makes their campaign so successful. Of course, each photo you publish has to be highly professional. It must reflect the overall style and vision of your brand, while you can also create images that show how things work behind the scenes. The audience loves this feature because it proves that you are not some alienated organization but rather a group of individuals who share the same values as their followers. Quality content is not the only thing that can help you raise awareness and improve brand recognition. You can also play with visual effects, layers, and filters to design a consistent Instagram account and make it different than other similar pages. You can notice it immediately because every serious Instagram account pays attention to the principle of consistency. However, the real question is: How can you achieve this level of harmony and coordination among images? Before you make the final decision palette-wise, keep in mind that each color has a special meaning and connotation. There is a whole science behind the psychology of colors, so you need to be careful while choosing the ideal color scheme. Now that you know how to create quality content, you can focus on another important segment of Instagram marketing – growing the fan base. This tactic is the only way to boost the popularity of your store and keep attracting more followers long-term. Create a hashtag strategy: Instagram users publish millions of posts on a daily basis, so you’ll need a tool that enables fans to discover your content. This tool comes in the form of hashtags. It’s not easy to find the best hashtag options, but you can do it by brainstorming, analyzing competitors, and using intelligence platforms like Analisa. UGC: User-generated content is the second way to grow the number of Instagram followers. The tactic is simple as you only need to find nice images related to your store or brand and share them on your own feed. It makes users feel acknowledged and appreciated, so you can expect more of them to come and join your community. Influencer marketing: Instagram influencers are a major force in digital marketing because users trust their opinions and recommendations. You should build relationships with influencers and ask them to promote your store occasionally. With a little bit of push from their side, your business can earn major Instagram publicity. The last advice on our list is to keep users engaged at all times. This is easier said than done, but there are lots of proven methods to ensure constant interaction with your followers. Firstly, you need to write appealing captions containing actionable suggestions. For example, you can show a product photo and ask fans to pick the best color. That way, you give people the opportunity to express their opinions and make decisions, which is always a great engagement booster. If you are not sure how to write a nice caption, we recommend you to consult with professional writers or any other content creation service from the GradeMiners review. Contests represent another very interesting tactic engagement-wise. The logic is clear: people love competing, so you should invite them to participate in your branded games. For instance, you can publish an image of the big prize and share contest details in the caption. Almost every store exploits this marketing mechanism because a typical company increases the number of followers by 34% with a single contest campaign. Instagram is not only a popular image-sharing platform but also a powerful business tool that you can use to promote your products or services. It gives you a plethora of features to market your company and it wouldn’t be wise to miss out on this precious opportunity. 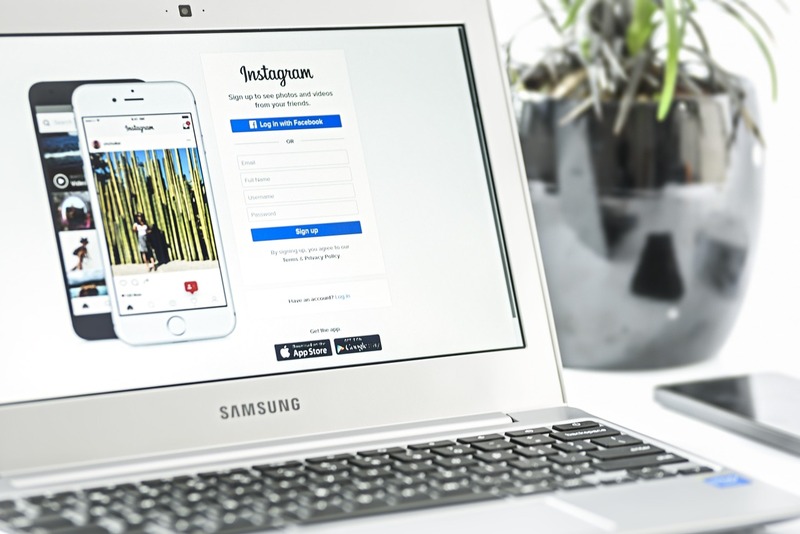 In this post, we showed you five tips to start promoting your store on Instagram. These are not the only Instagram marketing tricks, but they are definitely most important, so make sure to use them as soon as possible. Of course, don’t hesitate to leave a comment if you have other suggestions to share with our readers – we would be glad to see it! I have been promoting my business on Facebook and Twitter. However I had little idea about Instagram. I am glad I landed on your post. It is very informative and helpful.